Note: The following is our legal software license. For a more human-readable version that answers questions like “How many licenses do I need if I own three Macs?,” please read The terms of the Many Tricks software license. You, the Licensee, assume responsibility for the selection of the Many Tricks’ program you purchased to achieve your intended results, and for the installation, use, and results obtained from said program. Downloading, installing, and launching the program constitutes your acceptance of these terms and conditions. If you do not accept these terms and conditions, then do not download and install the program, and contact Many Tricks for a full refund if you purchased the program directly from the Many Tricks’ web site. You may use the program and documentation on as many Macs as you personally use. You may also copy the program and documentation into any machine-readable or printed form for backup or support of your use of the program and documentation on said machines, provided that no copy of the program and documentation may be used by anyone other than you. You may not use or copy the program or documentation, or any copy thereof, in whole or in part, except as provided in this Agreement. You also may not modify or transfer (whether or not for consideration) the program or documentation, or any copy thereof, in whole or in part. If you use, copy, modify, or transfer the program or documentation, or any copy thereof, in whole or part, except as expressly provided for in this agreement, your license is automatically terminated. 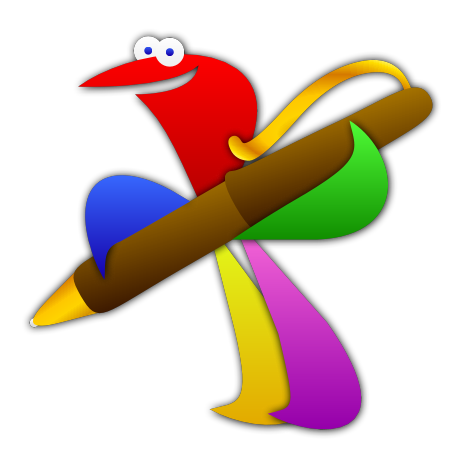 All title and copyrights in and to the selected Many Tricks application (including but not limited to any images, photographs, clipart, libraries, and examples incorporated into the program), any accompanying printed materials, and any copies of the selected Many Tricks application are owned by Many Tricks, but licensed to the end user. Many Tricks’ programs are protected by copyright laws and international treaty provisions. Therefore, you must treat the program like any other copyrighted material. The licensed user(s) can use the program as they desire, but the applications themselves and their related materials are owned by Many Tricks. The license is effective on the date you accept this Agreement, and remains in effect until terminated as indicated above or until you terminate it. If the license is terminated for any reason, you agree to destroy the program and documentation, together with all copies thereof, in whole or in part, in any form, and to cease all use of the program and documentation. Many Tricks offers its programs and documentation at a discounted price to licensees that are “Educational Users.” By downloading the Educational User program and documentation or purchasing the Educational User program package, you have represented to us that at the time of purchase you are a not-for-profit educational institution that is accredited by a nationally recognized accrediting agency, a full- or part-time student currently enrolled at such an educational institution, or a current member of the faculty or staff of such an educational institution (each, an “Educational User”). In reliance on this representation, Many Tricks has charged you fees that have been discounted from its standard fee. If your representation proves to have been untrue, Many Tricks reserves the right to charge you the difference or to terminate your license, as well as any and all other rights and remedies to which it is entitled. As an Educational User, your use of the program and documentation is limited solely to teaching, research, and other noncommercial activities consistent with your academic, teaching and research activities. Without limiting the generality of the foregoing, you may not use the program for the purpose of conducting, or in connection with, any commercial activity for your benefit or that of the educational institution. If your use of the program changes to that of commercial activity, Many Tricks reserves the right to charge you the difference or to terminate your license, as well as any and all other rights and remedies to which it is entitled. The program, documentation and any support from Many Tricks are provided “as is” and without warranty, express and implied, including but not limited to any implied warranties of merchantability and fitness for a particular purpose. In no event will Many Tricks be liable for any damages, including lost profits, lost savings, or other incidental or consequential damages, even if Many Tricks is advised of the possibility of such damages, or for any claim by you or any third party. This Agreement can only be modified by a written agreement signed by you and Many Tricks, and changes from the terms and conditions of this Agreement made in any other manner will be of no effect. If any portion of this Agreement shall be held invalid, illegal, or unenforceable, the validity, legality, and enforceability of the remainder of the Agreement shall not in any way be affected or impaired thereby. This Agreement shall be governed by the laws of the State of Oregon, without giving effect to conflict of laws provisions thereof. As required by United States export regulations, you shall not permit export of the program or any direct products thereof to any country to which export is then controlled by the United States Bureau of Export Administration, unless you have that agency’s prior written approval. Use of the program and documentation by military and civilian offices, branches or agencies of the U.S. Government is restricted in accordance with the applicable Federal Acquisition Regulations (under which the program and documentation constitute “restricted computer software” that is “commercial computer software”) or Department of Defense Federal Acquisition Regulations Supplement (under which the program and documentation constitute “commercial computer software” and “commercial computer software documentation”) to that consistent with only those rights as are granted pursuant to the terms and conditions hereof. You acknowledge that you have read this agreement, understand it, and agree to be bound by its terms and conditions. You further agree that it is the complete and exclusive statement of the agreement between you and Many Tricks which supersedes all proposals or prior agreements, oral or written, and all other communications between you and Many Tricks relating to the subject matter of this agreement.